A court in California in charge of the Roundup Multi-district Litigation dealt a severe blow to Monsanto's hopes to end the claims early by denying the company's motion for summary judgment. The plaintiffs claim that Roundup weed killer causes Non-Hodgkin's Lymphoma (NHL), a form of cancer. Monsanto claims Roundup is safe. While the case is far from over, after days of hearings on scientific evidence, California Superior Court Judge Curtis E.A. 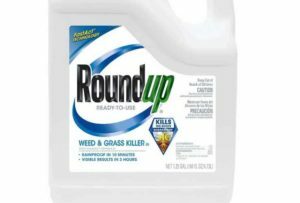 Karnow found there were questions for a jury to decide about the link between the active ingredient in Roundup, glyphosate, and NHL. In his opinion, the judge wrote that internal corporate documents made available during discovery "could support a jury finding that Monsanto has long been aware of the risk that its glyphosate-based herbicides are carcinogenic, and more dangerous that glyphosate in isolation, but has continuously sought to influence the scientific literature to prevent its internal concerns from reaching the public sphere." Citing evidence presented in court, the judge wrote that Monsanto "ghost-wrote" scientific articles about the safety of glyphosate as early as 1999 and as recently as 2015. The judge also cited evidence that Monsanto had "calculated the benefits of securing certain experts to lend credibility to their sponsored studies." The plaintiffs are seeking punitive damages on grounds that Monsanto "intentionally marketed a defective product knowing that it might cause injury and death." The case is Dewayne Johnson et al vs. Monsanto Company et al. Under U.S. law, the makers of dangerous or defective products can be held liable for any injuries or death their products cause. Plaintiffs from around the country have alleged that Monsanto's weed killer, Roundup, causes cancer. Albert N. Thiel, Jr. of Will Ferguson and Associates represents plaintiffs in this product-liability lawsuit. 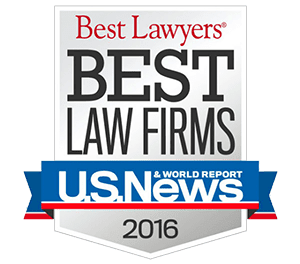 If you believe you have been harmed by a dangerous product, give the firm a call. There is no charge to have an attorney review your product-liability case. Call (505) 633-7070 for a free evaluation.